The PBE has been updated! 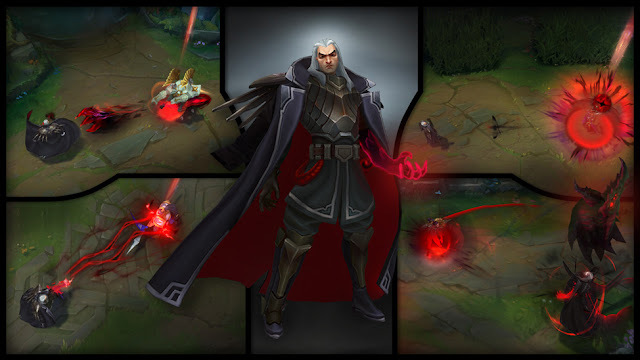 As we continue the 8.3 PBE cycle, today's patch includes new Pick and Ban lines for Swain and more tentative balance changes! Clash on PBE - we need your help tracking down a bug! 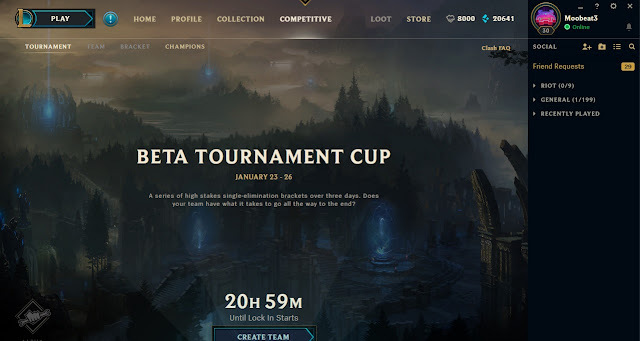 I’m Riot MoreChrono, and I’m the lead QA on Clash, the upcoming tournament mode for League. I’ll cut to the chase: we’re trying to track down an impactful bug that prevents some players from entering champ select, and we need a lot of players to test the core game flow. Clash is a mode that requires a lot of new tech on our side, and we want to keep the mode as competitive and stable as possible. 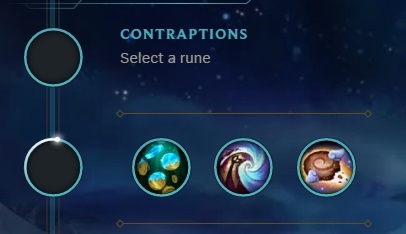 This champ select issue was one of the most impactful bugs we saw during the tests we ran last year. We’re going to run a one-day Clash tournament on Thursday 25th January at 18:00 (6 PM) Los Angeles time (PT) to get as much information as we can, and we need your help! Get 5 players together and create your team in-client (via the Competitive tab) any time from now until 18:30 PT on Thursday. -- If you don’t have 4 friends on PBE, drop by the PBE Discord and pick up your missing members! Check in 30 minutes before the tournament begins - between 18:00 and 18:30 (6 - 6:30 PM) Los Angeles time (PT). Scout your opponents, if you want! Play your games (you are guaranteed to play 2 games). Super important note: we have disabled many features (tickets, matchmaking tiers, rewards, team restrictions). The matches will be unbalanced, there will be some missing elements in the UI, and this version of the mode won’t be like the full launch. We really want to make sure we track down this bug in particular as early as possible so we can fix it. P.S. Shoutout to Catman and everyone on the PBE Discord for helping me out. When making changes to information on the team screen you might see some lag with it updating. Don't worry, it definitely updated, it's just laggy. Head on over to the COMPETITIVE tab in client to check it out. Swapped places with Biscuit Delivery. Swapped places with Magical Footwear. --R damage was straight too high if you compare it to the damage numbers he got from the old crit so we're taking the base down a bit, may need to also hit the ratio going into the future. --Vision changes are trying a way to give Rango MORE vision on the ult without giving him complete information unless he works for it. Hopefully it will improve his ability to feel like a hunter while still allowing for the possibility of errors due to incomplete scouting. This specific change is highly experimental and may be iterated away from. We're currently looking into getting a few of his missing sounds back, I just need to create the hookups (more complicated than you'd think). More tweaks to come over the next week, thanks for all the feedback." I noticed that the partial reset I put on Q was causing Rengar to freakout during his combo and do some weird stuff, so I removed it and returned the old AS buff for 2 attacks. This hopefully makes Q feel even smoother AND gets rid of a ton of bugs that were popping up during combos. The bonus damage on the ult was making Rengar's initial undodgeable hit deal quite a bit of damage. We think its overall healthier if you can at least flash the bad things that are about to happen to you, so trying a different leap bonus (full ferocity). Hope is that this makes Rango less binary (he has empowered options if he jumps in and things don't go as planned) AND makes him less frustrating to play against as he isn't doing nearly as much damage in that first undodgeable instant. May also open up room to buff Q damage in the future. THIS CHANGE IS EXPERIMENTAL, WE MAY ITERATE AWAY FROM IT. E AP ratio accomplishes 2 things for AP Rango: 1) it compensates for the loss of the R AP ratio. 2) It makes a portion of his burst combo dodgeable. Hope is that this will make the build more maintainable going into the future. AP Rango bursts you with spells, AD Rango murders you with Q and basic attacks. Finally, Matteo, Rengar's sound designer, has been reading up on your feedback and decided it would be a good opportunity to get some choice VO lines back in where appropriate. Tell us what you think." "will be looking for feedback on another change on the pbe tomorrow — going to be testing out updates to the 'mirrored' scoreboard view! if you often press tab quickly to check things like cs differential, or you currently use mirrored view, this might be of interest to you~"
As mentioned last week some thoughts on top lane today. Longer post than usual, ended up being a lot of stuff to touch on that’s all pretty interlinked. First off some thoughts on what laning in LoL should be like in general, and then on top specifically. A period of small scale PVP, where it’s your skill against one or two opponents most of the time. Tests different skills from team fighting in particular. Should last for a fair duration and success during lane should set you up with a meaningful advantage post laning phase. If you win hard enough, and translate that lead into a wider advantage for your team, that could be very influential in deciding the game outcome. Your choice of champ relative to your opponents should matter, but shouldn’t decide the lane (strength in counter-picking, but not hard counters). Success should come from both how you play the lane (farming, zoning, trading etc) and how you contribute strategically during the laning period (roaming, TPing, objectives etc). Lanes should have frequent interaction between champions, not just passive farming. Contributes less to strategic play than mid (more isolated), so should test and reward play in lane more on average (some exceptions, especially from champs with global mobility on their kits). Should be able to support a wide variety of champion types, in particular those not well suited to solo laning elsewhere. Ideally all champs should have a home in lane somewhere, though that’s been a challenge for us for a long time with some champs who’ve only really existed in the jungle. Needs to be able to cope with jungle/roam pressure from being a long lane with only one champion per side providing vision. One other thing worth talking about with top lane is how it changes significantly at different MMR levels. Looking at popularity for example top Lane’s the middle position in terms of popularity at almost all MMR bands, noticeably below mid and bot, but significantly above jungle and support. 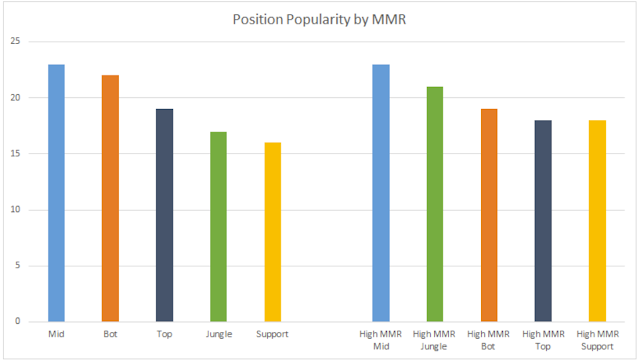 That trend changes at really high MMRs (top 1% or so), with mid and jungle then the two popular roles, with bot in the middle and both top and support a bit below it. We believe there are a few factors that contribute to that difference in popularity by MMR. Some of it’s the effectiveness of other roles being more appreciated at higher MMRs (e.g. jungle/support perception). Some of it though is also that top laner impact on game outcome does decrease somewhat with higher MMR statistically (more thoughts on that in a section below). What the top lane experience is like also varies (e.g. which champs you commonly play against changes significantly looking at Diamond versus Silver for example, as does ability to take Ignite versus having to take TP). As per the laning section above we believe a variety of types of champion should be viable in each position ideally. One problem that we’ve seen though is that some champions dominate lanes with click to hit spells that lack enough counterplay (e.g. Pantheon Q). Particularly as melee that means you end up either sustaining through their hits or just get bullied out of lane. Some matchups can be too dependent on which champions got picked and not enough on how you play the lane. We’ve got a change in 8.2 where single target non skillshot damage spells draw minion agro as a result. Champs we think will be noticeably affected in their ability to spam harass who regularly play top include Kayle, Vlad, Teemo, Pantheon, Malphite. Some others could be affected as well, though we think the likely impact’s lower (e.g. Akali). It’s possible some of those champs end up too weak, or still too dominant despite that change. Will likely need some follow up work in 8.4 as a result, particularly if any champs end up lacking a way to be effective in lane at all. If for example Panth has to time his Q harass around gaps in minions and/or eat more minion harass can he be effective enough at all? Is he fine after a bit of adaptation? Top’s also been particularly affected by some of the new Runes. First up, there are some gaps in the current rune system. 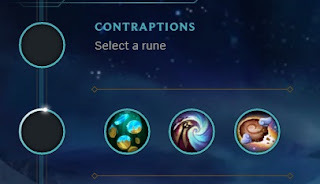 As we’ve mentioned we’re working on a new keystone intended to offer sustained damage output to champs who are after both some offensive and some defensive power. Likely that appeals to some, but not all, of the champs who used to take Fervor. Current expectation is that that will go in the Resolve tree. 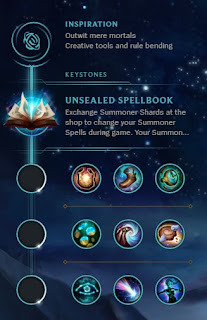 That’s both to make Resolve more attractive to some champs and because a number of the new keystone’s potential users don’t want Attack Speed that much (hence they’re not using Press the Attack like Shyvana for example). That lack of interest in so much Attack Speed is something we’ll also be looking, particularly the question of whether precision (or even all trees) should split their stats like Resolve currently does. 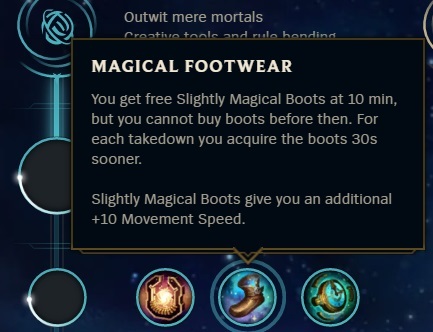 That would open up the Precision keystones to quite a few champs if so, though does have some other costs (diluting clear distinctions in playstyle between the trees in particular). More on that possible split either later this week or next week. Kleptomancy’s also too good on its best users, most of whom tend to play in top lane. Combination of other melee targets to proc it on and desire for sustain means that for a lot of champs in top it’s their most powerful keystone. It’s also an issue on some champs elsewhere (Ezreal in particular). We’re changing it so it gets procced less often if you’ve recently procced it as a result, toning down the difference between those that can really maximize it and other users who aren’t out of line. Worth noting that while GP does make good use of it he’s also about as strong with Grasp, so possible he may still be a balance issue after this change. Finally, Aftershock’s both too narrow (limited range of users) and too strong on many of its current users (tanks, a few of whom are pretty impactful top). We’re changing it so it deals less damage, especially early, gives flat mitigation instead of flat + % and has some AD/AP scaling. First goal there is to make it weaker on some of its current best users (e.g. Maokai or Leona), in terms of their damage output early in particular. Second is to allow champs who build some offensive stats instead of full defenses to get more benefit from it later in the game (e.g. some fighters with CC who really want defense at the start of a fight but aren’t building full tank). Exact numbers on it are a risk point that may need tuning, amount of flat Armor/MR early in particular. Damage is down significantly, need to ensure that defense doesn’t end up more than offsetting that power loss though. Champ balance is also worth talking about of course, though it’s been less of our focus in top while we’ve been working on the wider systemic stuff above. We did a bit of work on some champs in 7.24b last year, nerfing Jayce and Teemo, while buffing Tiamat, Aatrox, Kled and Renekton. Rationale there was that those were the champs most in need at the time. We saw noticeable improvements to those buffed, Jayce and Teemo didn’t get affected that much however. We’ve since followed that with nerfs to Kayle, Ornn and Heimer. Looking forwards, we’ll almost certainly need to do some follow up on individual champs after we’ve seen exactly what impact the agro and Rune changes have. We’ll also be buffing Trynd in 8.3. Gnar need some work soon too, in particular to give him more exploitable weaknesses. Ornn by contrast is a trickier case. He’s on our minds, given his dominance in high MMR and pro play, but it’s looking like he’ll be a Ryze like problem in some respects, with poor performance at almost all skill levels while dominating high skill play. We’re looking for changes that bring his power down there more than elsewhere as a result. So, to try and sum a bunch of things up, we believe top lane needs some improvements at both the tactical and the strategic level. Tactically some things are distorting the lane and need to be addressed (a range of Runes, some individual champions, ranged harass that doesn’t draw agro). Ability to be aggressive on some champs, and get damage to stick to others, may also need further work too. At a strategic level top’s impact on the game at really high MMRs is likely too low. Addressing that likely involves increasing the benefit of winning top lane and looking at how dependent on TP top lane is. Seeing teams have some difficulty ending games. Wave clear’s high, making it hard to push, while the value of late game objectives (Baron and Elder Dragon) may not be rewarding teams with full map control enough. Disengage champs are also common, impactful picks, and engaging enough to get multiple kills can be difficult. Inspiration’s looking too strong. 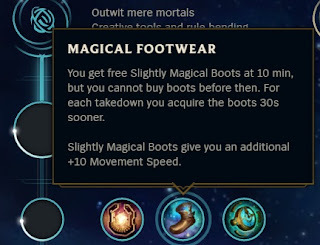 Gets used a lot both as primary and secondary choice, with Slightly Magical Footwear and Perfect Timing the consistent elements. We’d been planning to chip some power off the boots already, will be looking at Stopwatch this week too. Bot lane sustain is too high, resulting in low reward for putting damage on your opponents and therefore a low interaction lane. The nerf in 8.2 to Targon’s healing (50% if owner is ranged) potentially addresses enough that already, possible more might be needed however."